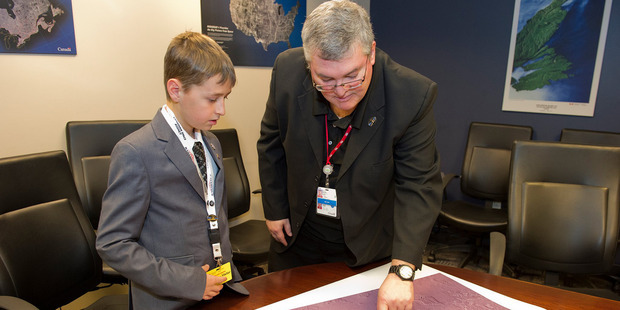 A kid from Quebec named William Gadoury recently discovered a long lost ancient Mayan city — and he’s only 15! Gadoury says he used a combination of photographs from the Canadian Space Agency, astronomy software and Google Earth to search for a city that, according to Mayan record, should exist but that nobody had found yet. The remote location is within the impenetrable Central American forest, where historic ruins tell a story of a city that time forgot. While it’s not entirely certain whether the discovery is a re-hash of any recent discoveries, the fact remains that this child’s use of modern technology and classical astronomy is nothing less than stellar. Carrying a strong interest of the ancient Mayan civilization, Gadoury analysed 22 constellations from Mayan texts found that the Mayans aligned their 117 cities with the positions of the stars. That’s when he realized that there was a city missing as there was a recorded star within one of the constellations that had no known city attached. In the eureka moment of his conceptual discovery, Gadoury used Google Earth and a little bit of math to pinpoint where the city should be according to the texts and stars, and found a strange object showing up.